View from th e Bridge Wing – On August 9, MOAA notified the Central Ohio Chapter that we have been awarded the 5-Star Level of Excellence award for exceptional performance in 2016. 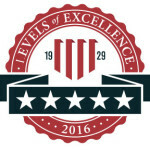 The Central Ohio Chapter has won the 5-Star LOE Award for six straight years and for eight of the past nine years. We get a lot out of ourselves for a medium-sized chapter. We have a clear mission and are committed to executing our programs effectively. With the help of a strong team pulling together, we have reached a level of performance that has once again been recognized by the national MOAA leadership. Congratulations to all who played a part in our receiving this esteemed award. It should be noted that the Ohio Council of Chapters had a good showing as well, probably the best year in memory. The Council of Chapters improved overall from last year, with the Council getting a 5-Star award (4-Star last year) and four of its seven chapters getting 5-Star awards (three 5-Star chapters last year). We congratulate the Council and our sister chapters for their accomplishments. Ohio Women Veterans Conference – On Saturday, August 12, LTC Machado and CAPT Tate manned the MOAA booth at the Ohio Women Veterans Conference. We networked with some significant regional and state contacts. And we had quite a good flow of female veterans stop by to chat and learn about our Chapter and MOAA national. We signed up one new Chapter member on the spot and gave applications to six others who are eligible, who we hope to see become new members. As we were also representing the Ohio Council of Chapters as well as national MOAA, we gave applications to four current or eligible MOAA members who live in the Dayton area, four who live in the Cleveland area, one from Cincinnati and one from Toledo. We also confirmed a luncheon speaker for October who will present on the topic of the Women in Military Service for America Memorial. So I’ll put our results from that conference in the plus column. One of our Chapter members, Lt Col Claudia Foss was on the committee for this year’s conference. Council of Chapters Conference – The biennial Ohio Council of Chapters Convention will be held September 22–24, 2017 at the Youngstown Air Reserve Center, a small military base about 10 miles north of downtown Youngstown. All chapters are encouraged to have our members attend this convention. It’s a bit of a drive and involves overnight accommodations, so we should consider carpooling when the time nears. 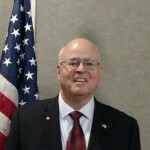 Information on the convention can be found on the landing page for the Ohio Council website: http://www.ohiomoaa.org/. Board of Directors meeting at noon on Wednesday, September 6 at DSCC (Building 11, Section 9, Room TBD). Monthly Luncheon and Business Meeting at noon on Friday, September 8 at the Berwick Manor Restaurant, 3250 Refugee Rd, Columbus, Ohio. CDR Dustin Martin, USN, Naval Science Instructor for the Grove City High School Naval JROTC Unit will give an overview on his role. Quarterly MOAA Ohio Council meeting at 10:00 on Saturday, October 28 at DSCC (Building 11, Section 9, Rooms 921/922).